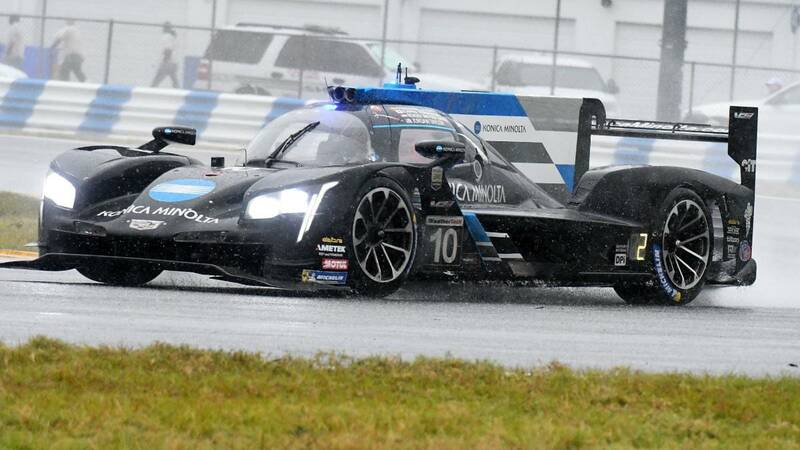 The Spaniard and his teammates from Konica Minolta won a long race at Daytona that ended early due to heavy rain. With the victory of Cadillac 10 of Alonso, Kobayashi, Taylor and Van der Zande we said goodbye. Thank you for continuing with us the action at Daytona during the days of Saturday and Sunday., until another! In Wayne Taylor Racing did not have the best feelings to reach the race of the 24 Hours of Daytona, the favorites were others, but what they did have was the best driver of the extensive grid of the American race. Fernando Alonso was the differential element of his team and the maximum culprit of his victory. He was the most behind the wheel of the Cadillac 10 and the one who made the final overtaking to Nasr Cadillac 31 minutes before the red flag appeared with the that the race would end. The prototype of Konica Minolta was in the fight for the victory since Alonso took the first witness at three hours of race and placed him in the first position. From there, little by little their strongest opponents (Mazdas, Acuras ...) and only three cars came to the last moments with victory options under a downpour. In the end, the victory fell on the side of the Asturian and his companions. In GTLM, Molina touched the victory with a Ferrari 62 that was second. Garcia was 7th and Riberas, 12th in GTD.